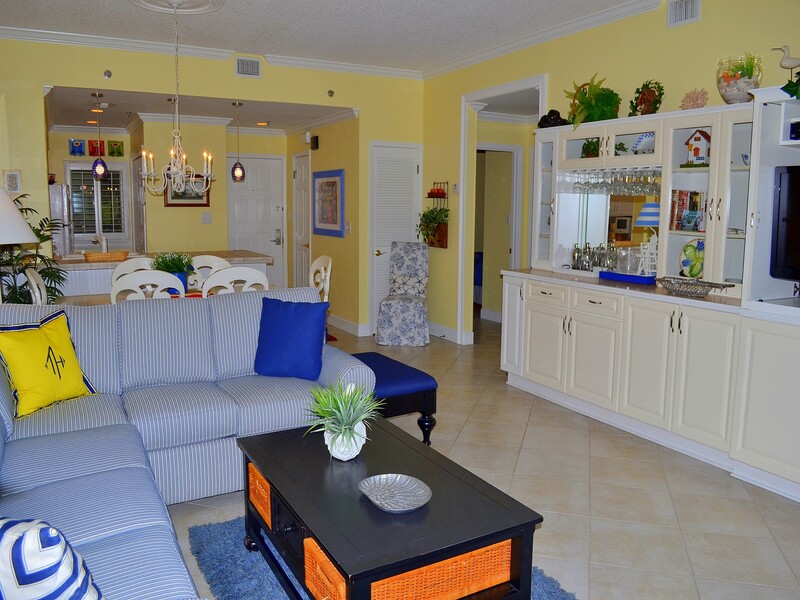 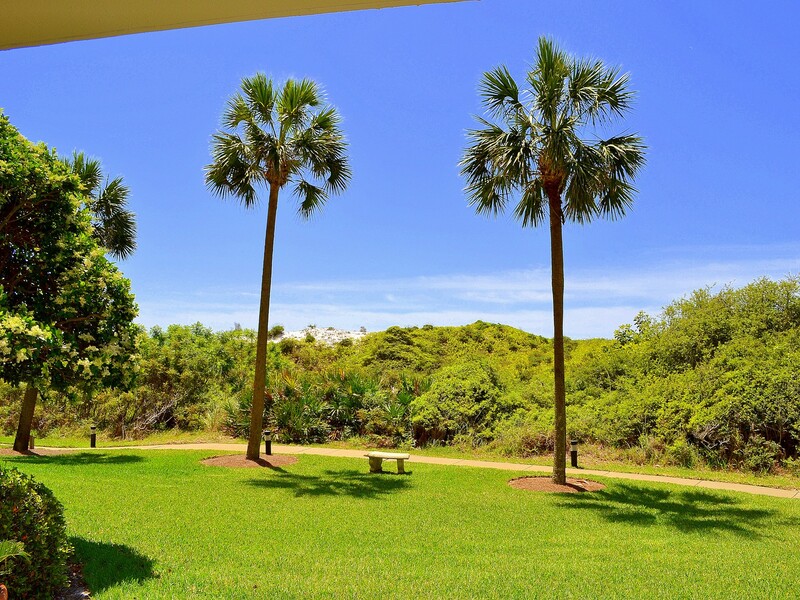 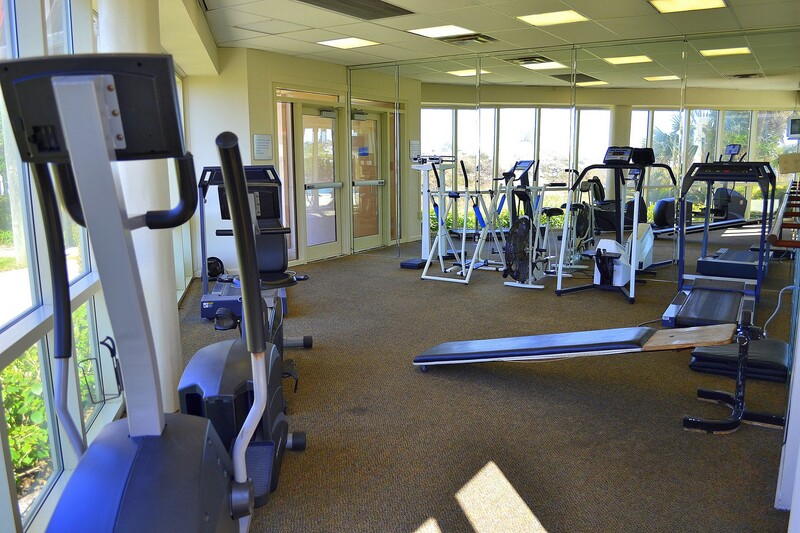 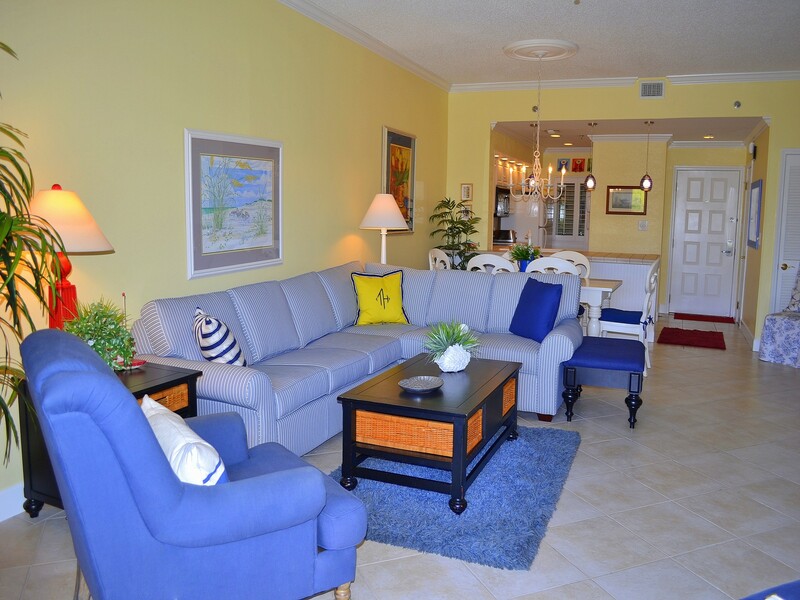 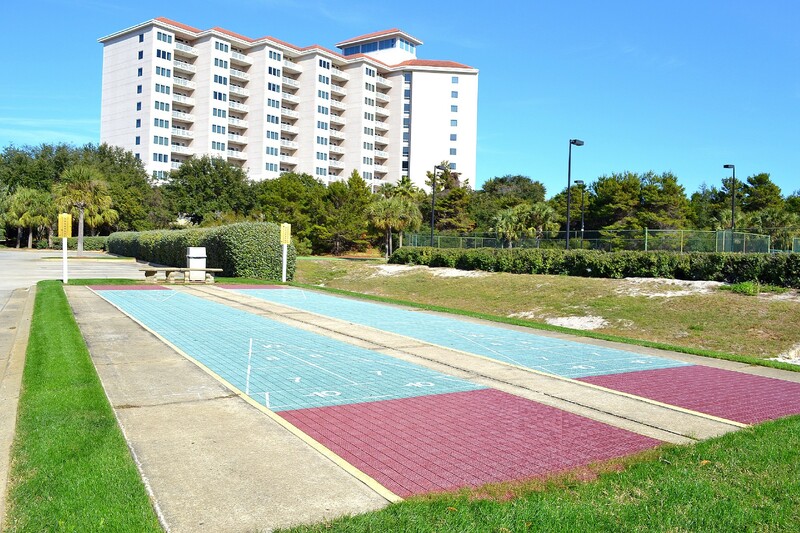 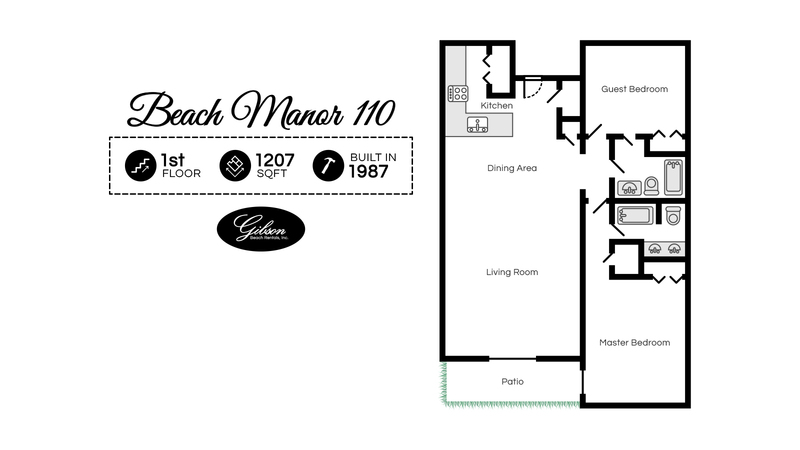 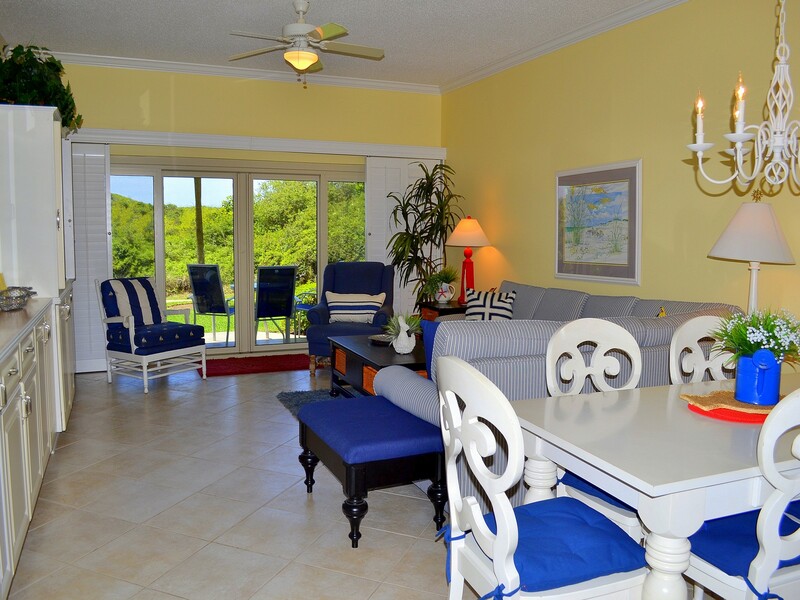 Beach Manor 110's ground floor location means no waiting for elevators and easy access to the parking garage. 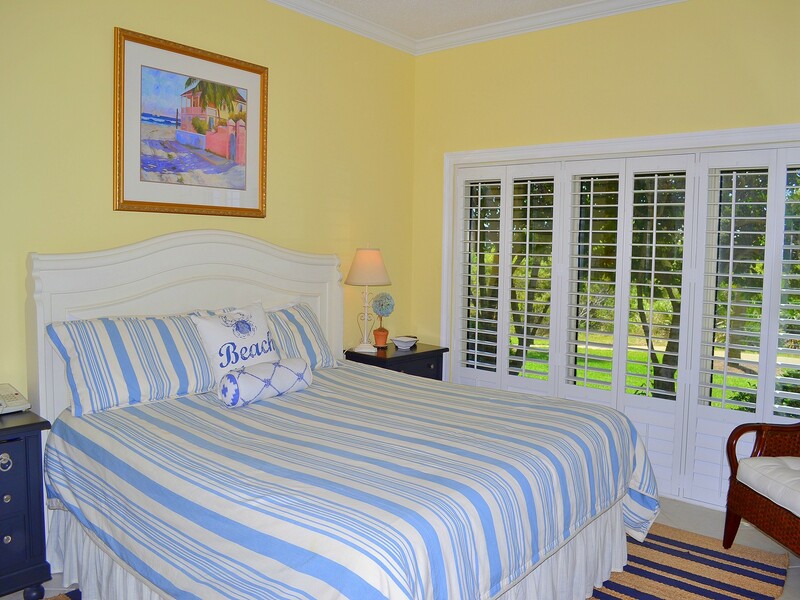 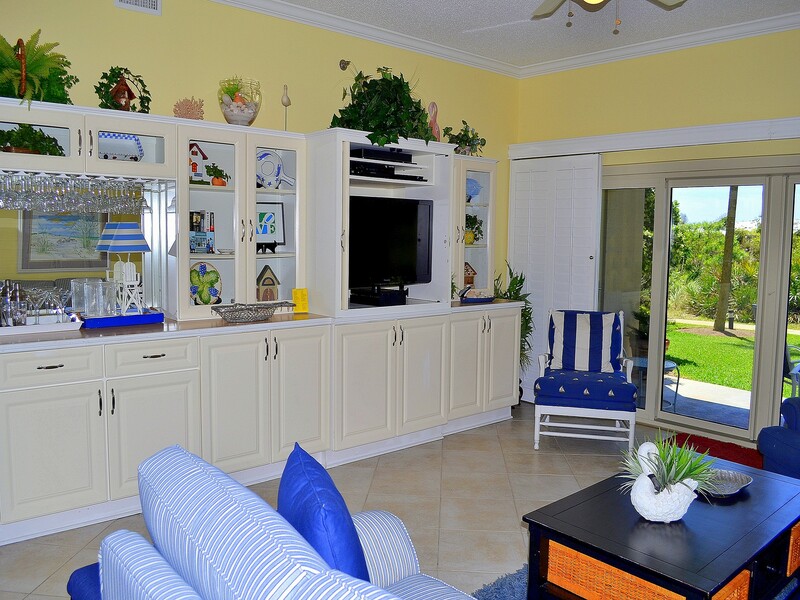 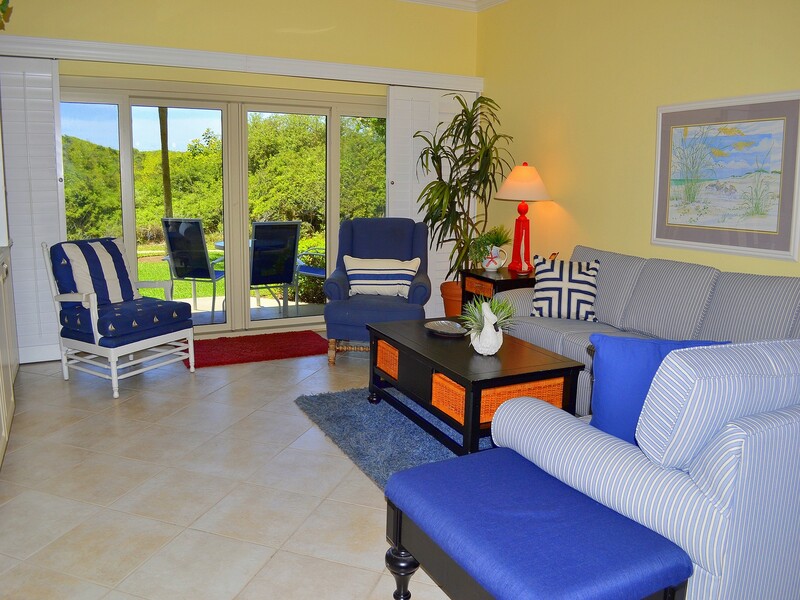 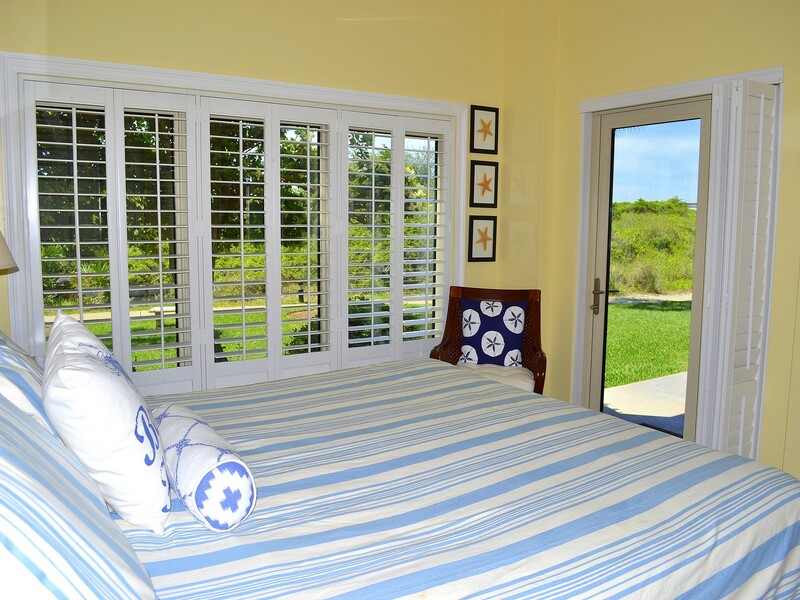 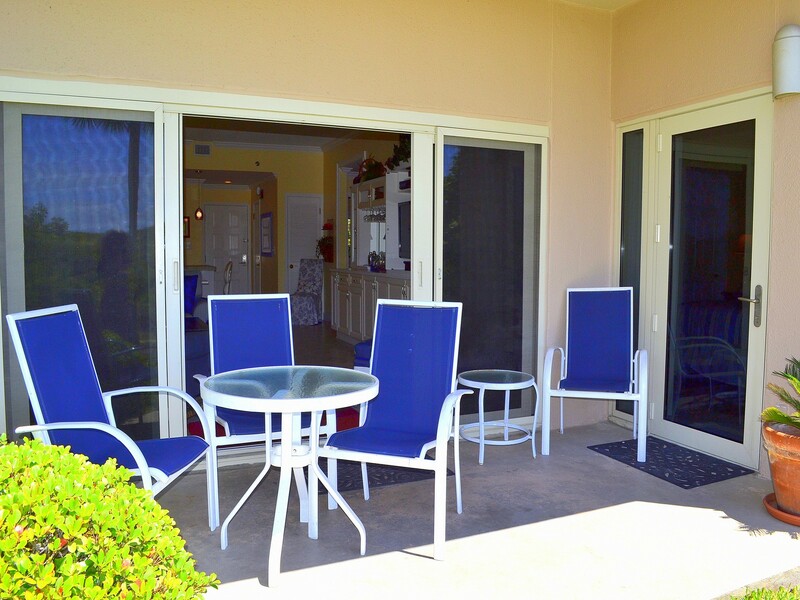 Plantation shutters and double sliding doors open to your patio where you are steps away from the beach, pools, hot tub, and tiki bar. 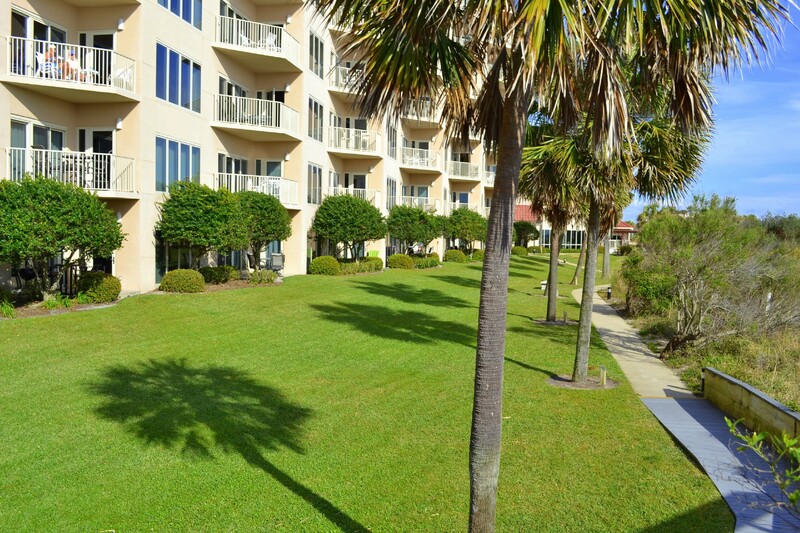 The wonderful grassy area is great for throwing around a football or enjoying the sunny days. 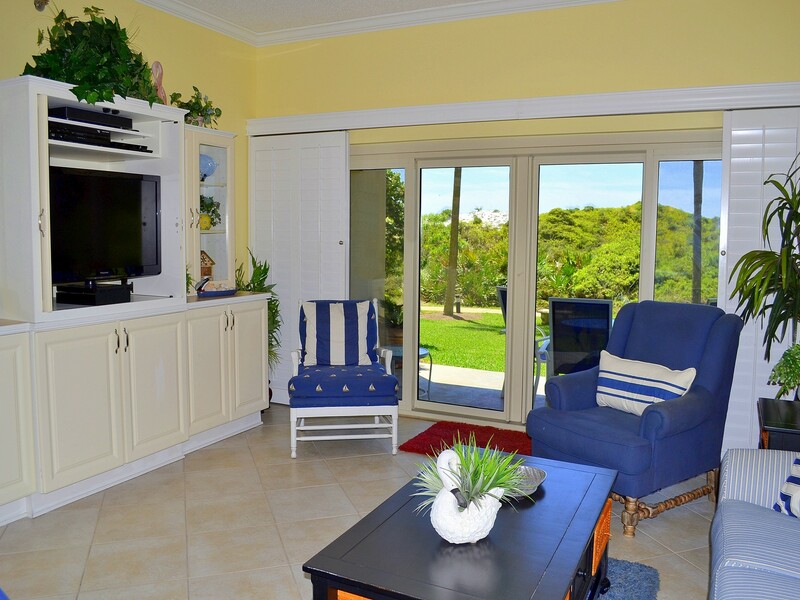 The living room features a flat screen HDTV with an HD digital video recorder and a Blu-ray player. 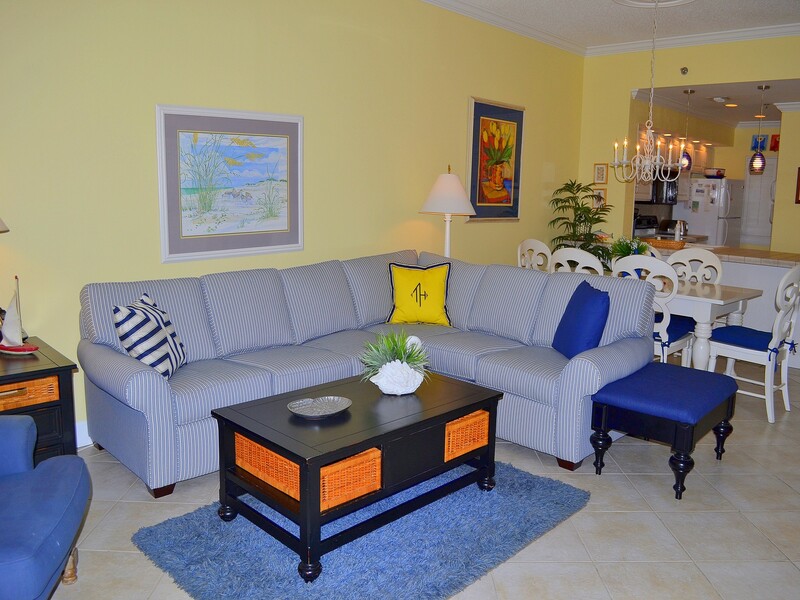 The couch also folds out into a sofa bed, allowing 2 extra guests to join you on vacation. 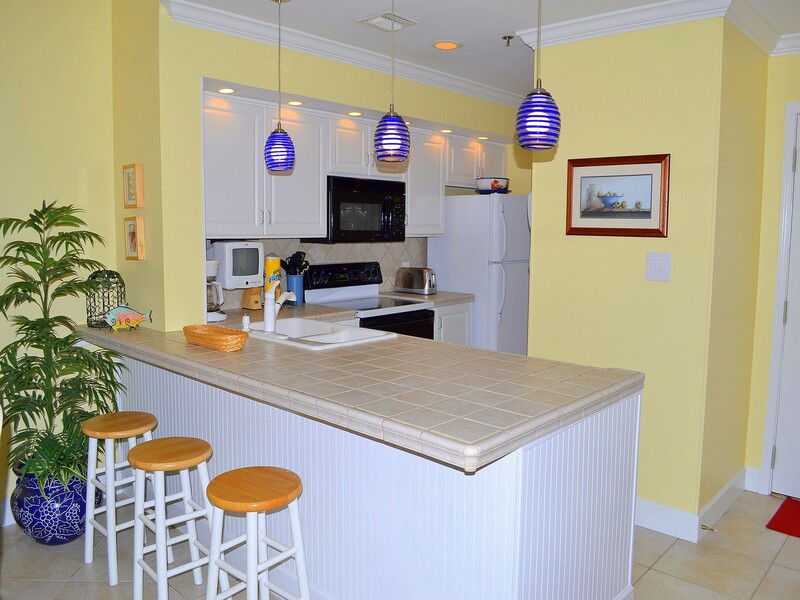 The kitchen holds all of the comforts of home along with luxurious updates like tile counters and new appliances - you will have everything you need to make a marvelous dinner. 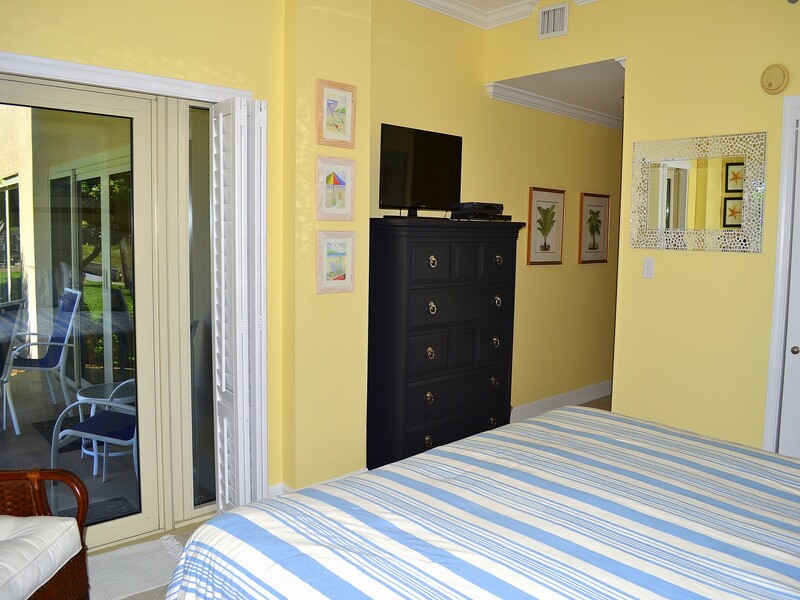 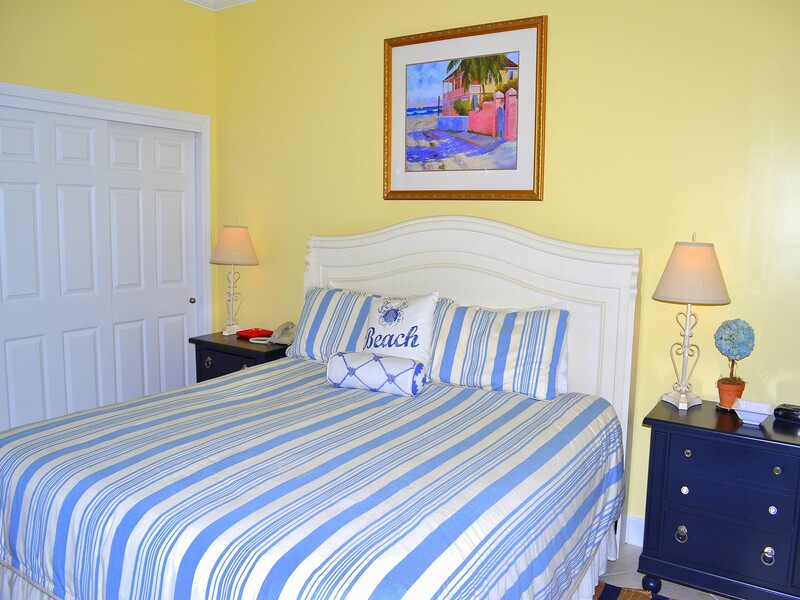 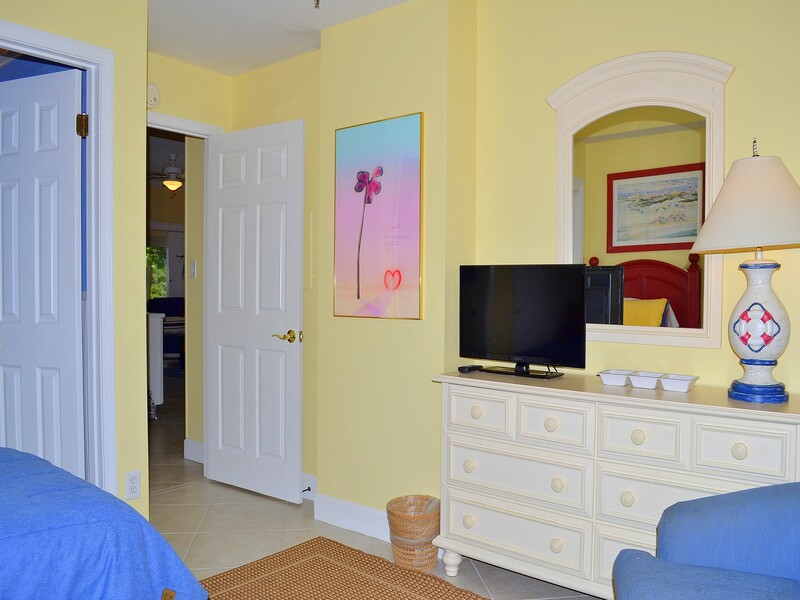 The master suite has a king-size bed, flat screen HDTV and Blu-ray player as well as its own door to the patio - the beautiful light in this room is sure to keep you in a sunny mood. 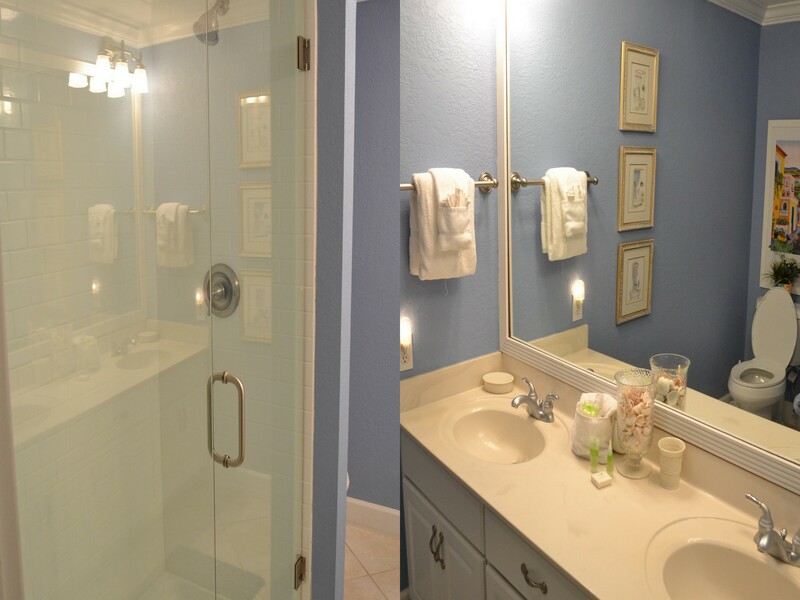 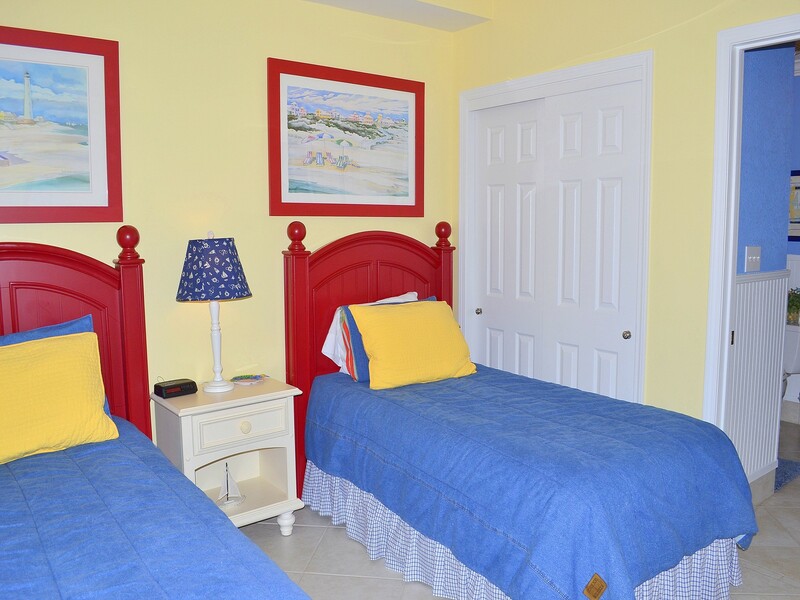 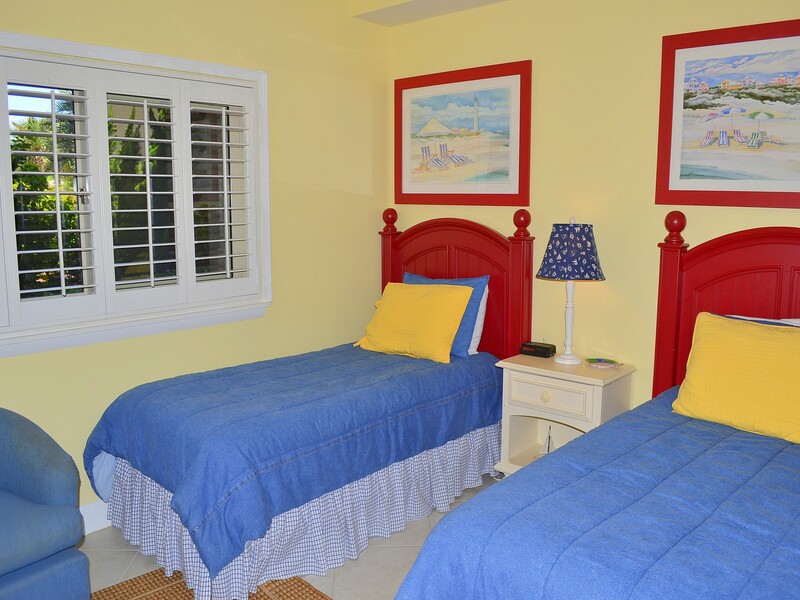 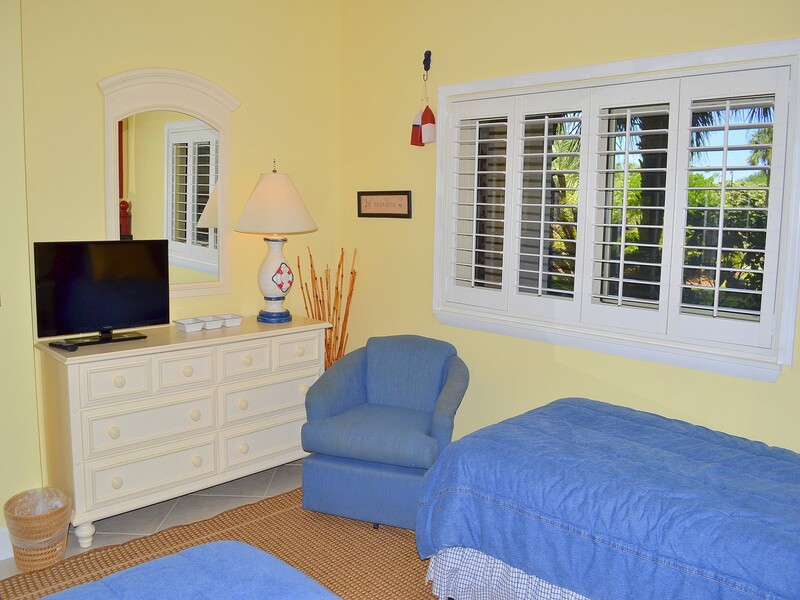 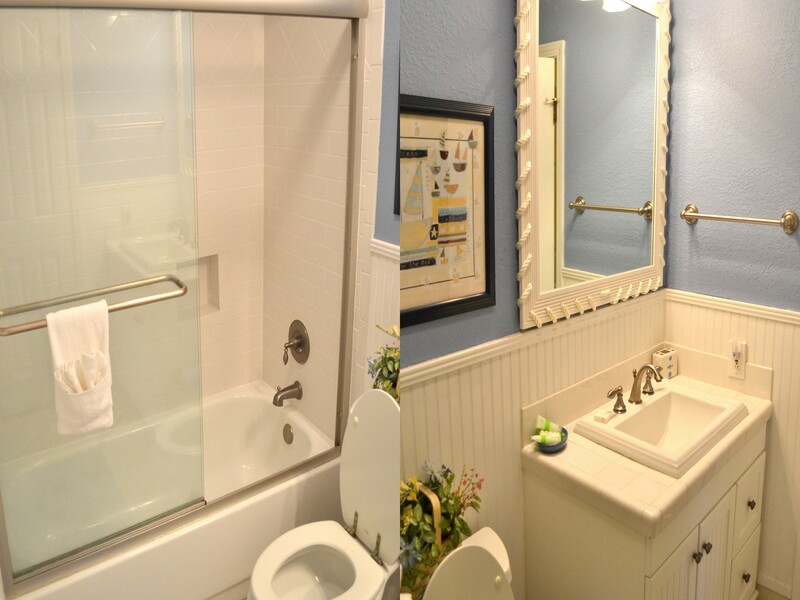 The guest room hosts two twin-size beds, another flat screen TV plus an extra bathroom. 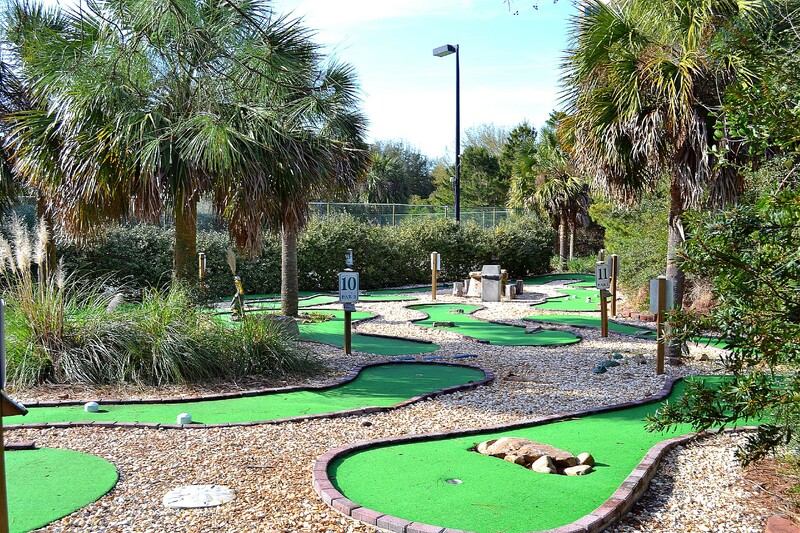 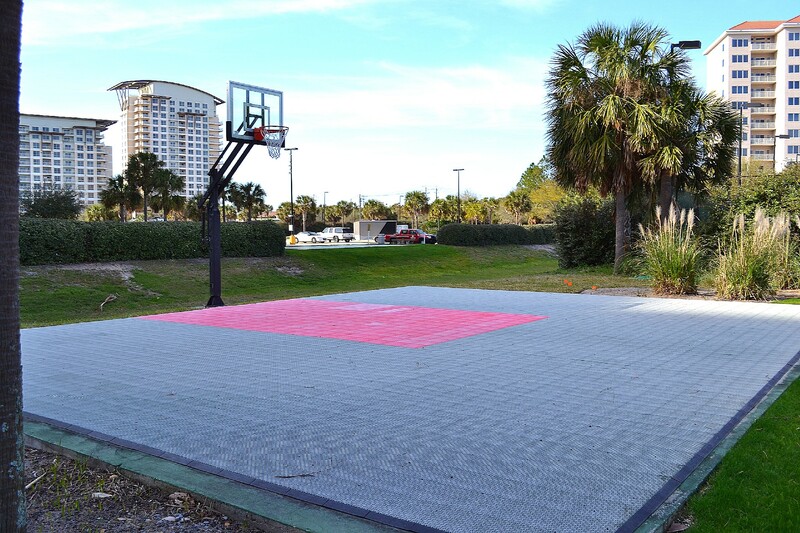 Our area is filled with many things to do – you will never be bored! 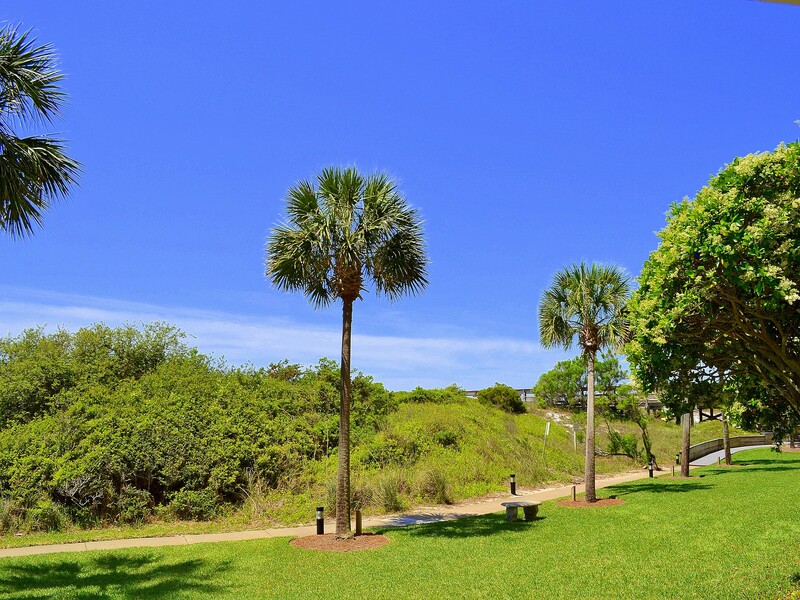 From annual wine festivals, weekly fireworks shows, movie nights, to live bands and entertainment, there is a little something for everyone to enjoy. 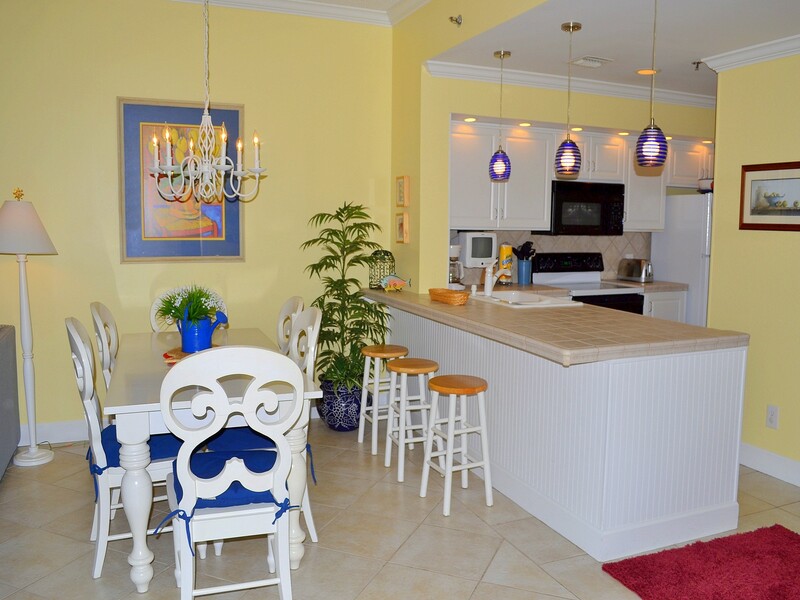 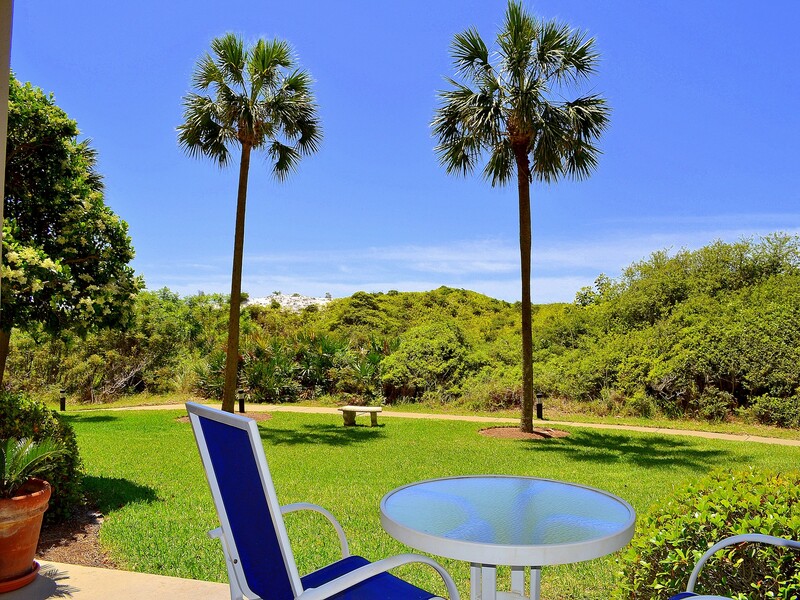 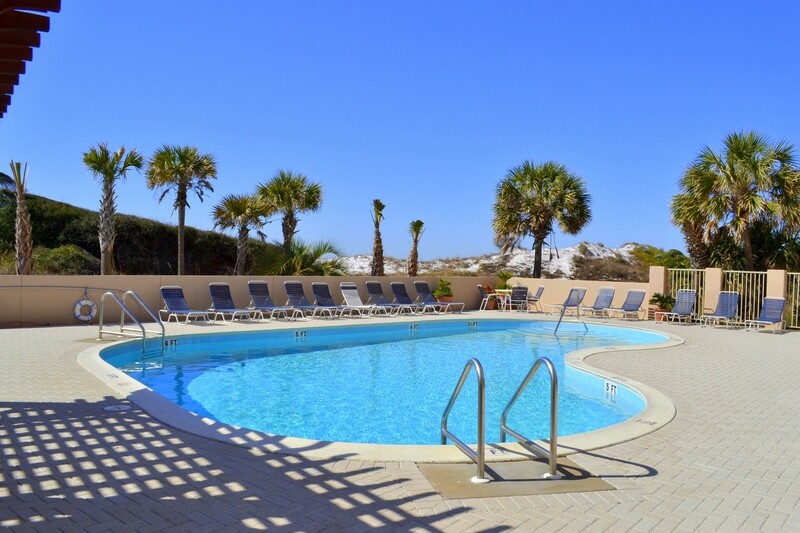 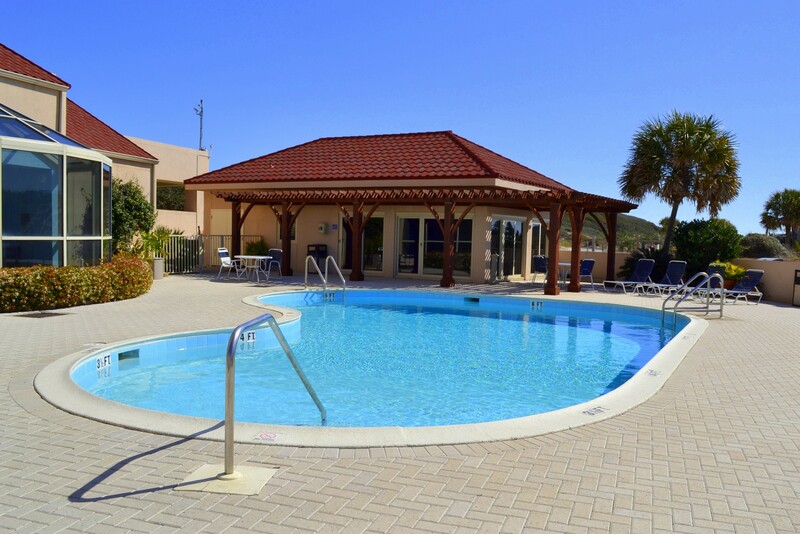 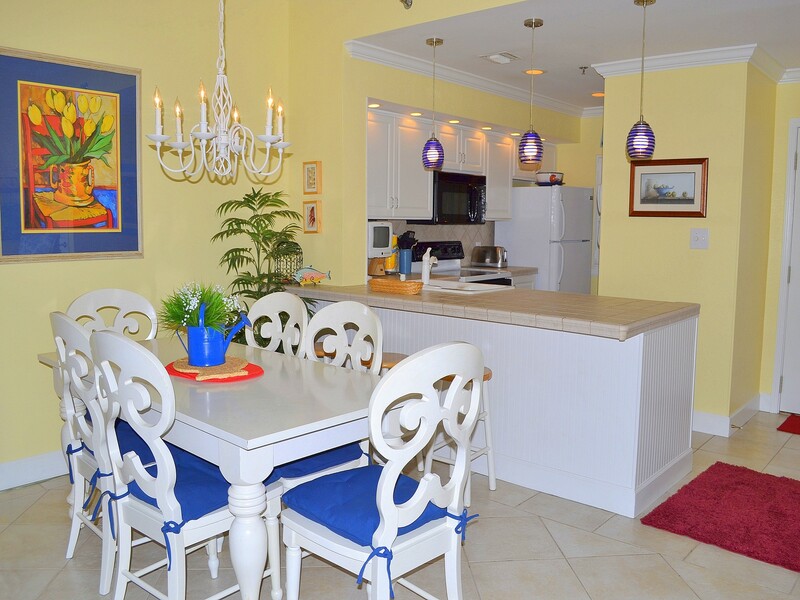 Visit Sandestin’s Baytowne Wharf, the huge Silver Sands Outlet Mall, or Grand Boulevard just down the street. 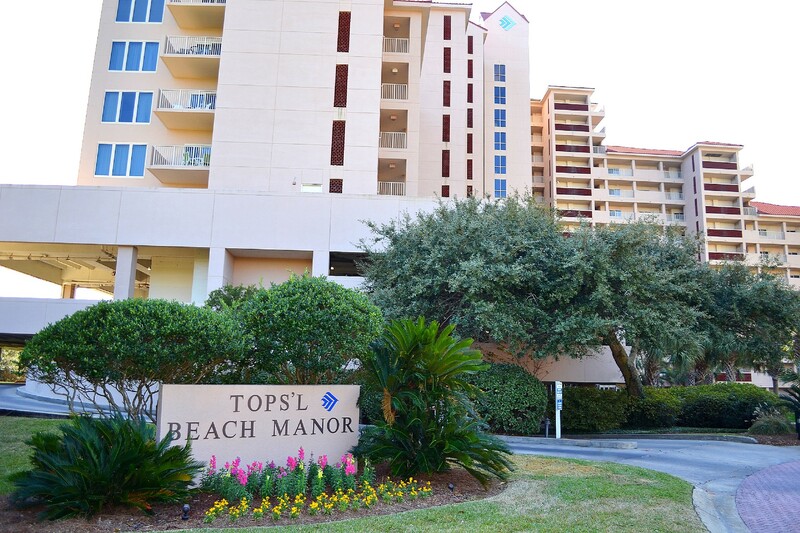 The Destin Commons and Harborwalk Village are a quick drive away and offer amazing places to shop, a marina, and perfect spots to catch a sunset after a long day on the beach. 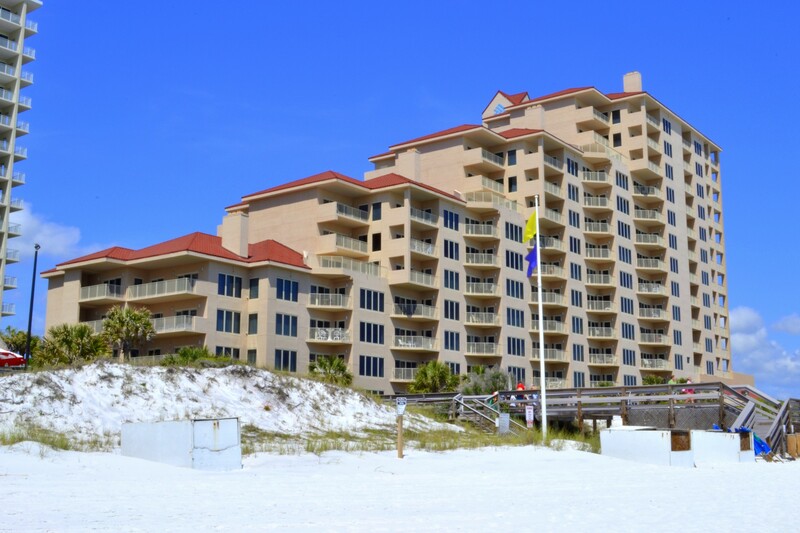 Sandestin® is a registered trademark of Sandestin Investments, LLC and Sandestin Real Estate of NW, FL, LLC. 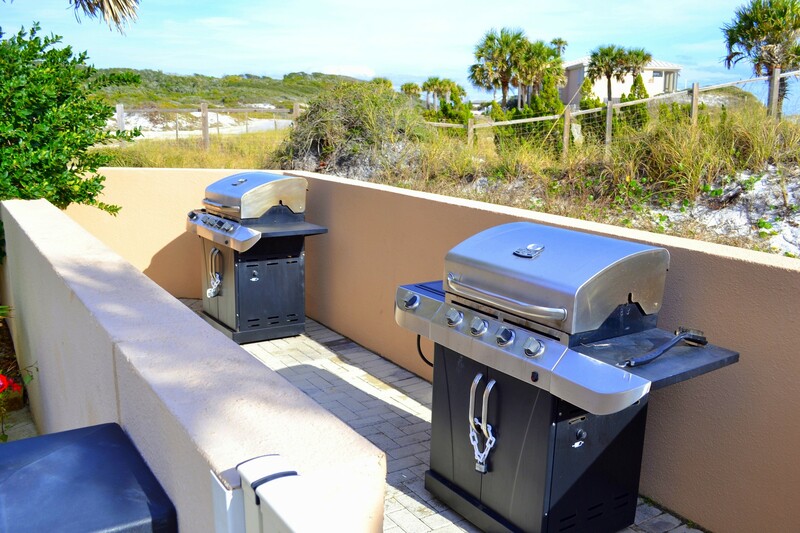 Gibson Beach Rentals, Inc. is not affiliated with either of these entities. 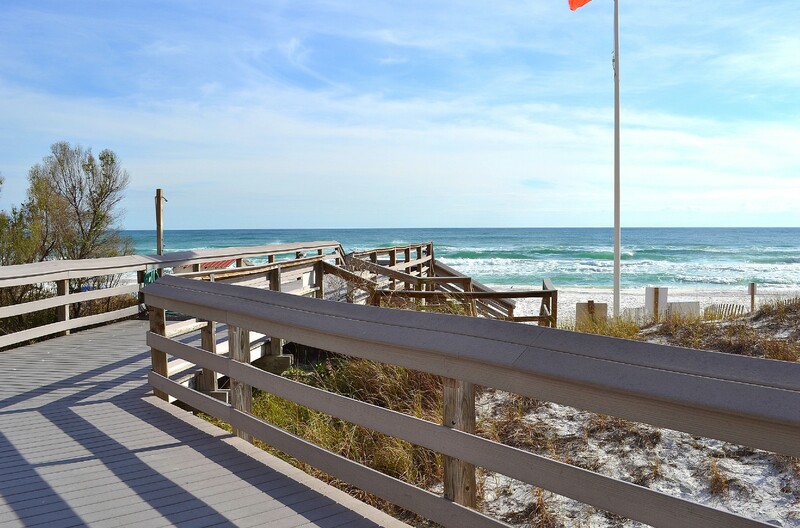 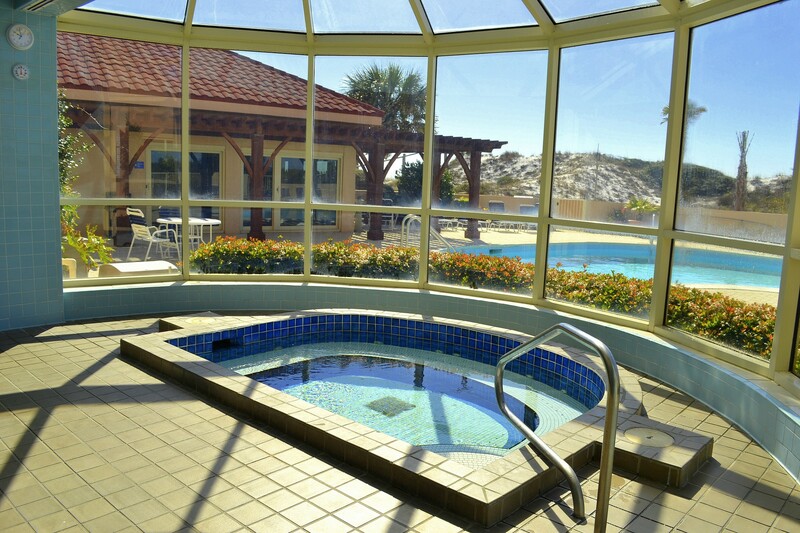 Use of the word “Sandestin" is for location purposes only.